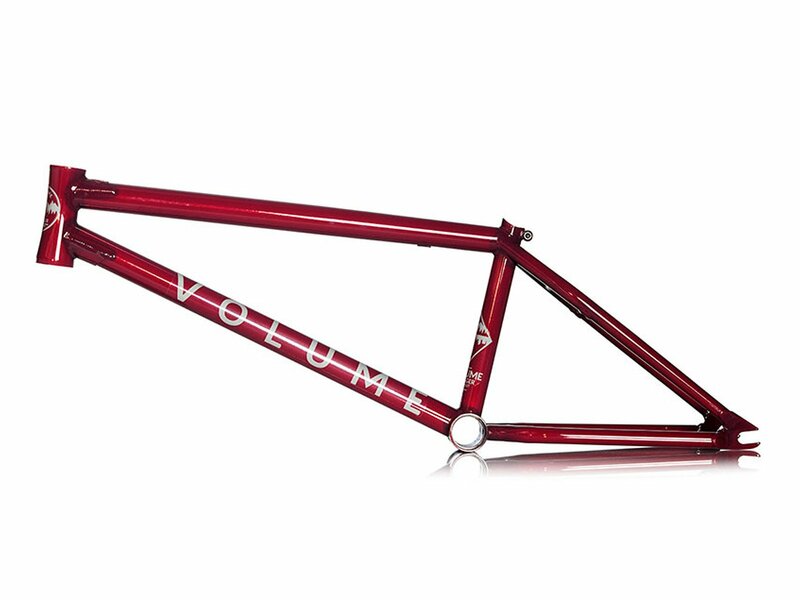 The Volume Bikes "Voyager" 2019 BMX Frame - Translucent Rose is tested by the volume team and features specs that volume teamriders have been asking for; steeper 75.25º head tube, shorter 12.5" slammed chainstay (13" center to center), and a higher 9.25" seat tube height. 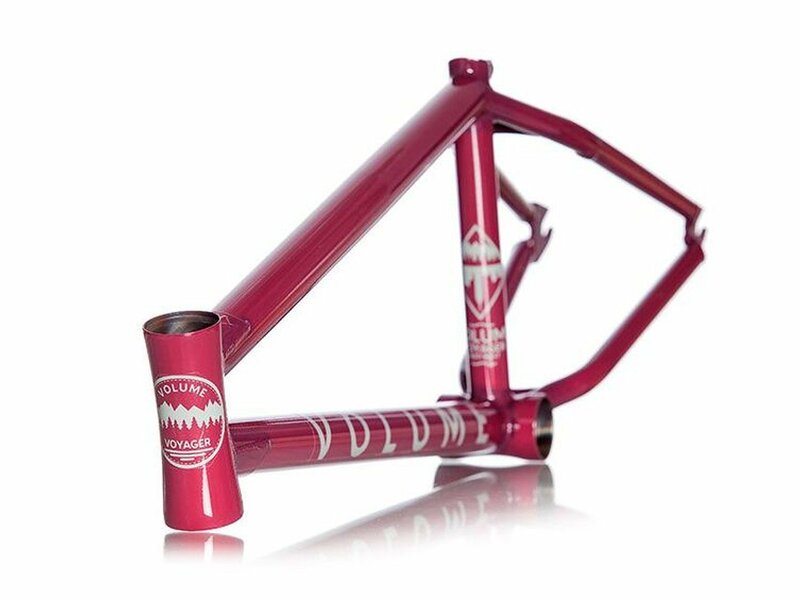 Also features a very simple straight gauge tubing, hour glass head tube, and small/ clean 4mm thick dropouts. Full 4130 CrMo heat treated tubing, top and bottom gussets for added strength, removable brake mounts, and S chainstays for bigger tire clearance. Translucent Blue colorway was choosen by Josh Clemens.